Architect, designer, entrepreneur, lecturer, Carlotta de Bevilacqua is one of the protagonists of contemporary design. Graduated in 1983 in Architecture at the Polytechnic of Milan, he runs his own architectural firm, design and graphics and deals with architectural planning and interior design in Italy and abroad also collaborating with other major architecture and engineering. Explores aspects of light and the environment related to the right to create well-being and offer new standards of quality for life and human experience continuing activity with Danish designers. 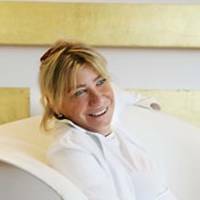 Until 2004 Carlotta de Bevilacqua was CEO for the Brand Strategy & Development sector of Artemide Group, with expertise in the areas of Marketing, Communication and Vision & Strategic Futures. From 2004 he is a member of the Artemide Board of Directors. In 1999 Carlotta de Bevilacqua has acquired Danish, of which he is President and CEO Danish, leading company in the years 60 / 70 the history of Italian design in a short time has revitalized winning them over new market and a new leadership. Since 2001 is university professor of the Polytechnic of Milan in Master of Science in Industrial Design of the III Faculty of Architecture, School of Design in product development lab to address light. Polytechnic of Milan Carlotta de Bevilacqua also teaches in the Master's in Light Product Design and has been from the 1999 2001 teacher and project leader of workshops for the development of innovative products within the Master in Strategic Design (MIP). 2001 2004 from the professor of the Master in Design at Domus Academy in Milan. Numerous interventions Carlotta de Bevilacqua as a lecturer at Bocconi University. Much appreciated is the contribution of Carlotta de Bevilacqua at conferences and seminars organized by the institutions most qualified to explore the transformations taking place in contemporary society and in the international markets.